Team 17’s been progressively becoming one of the more noteworthy publishers of indie games. Their E3 lineups consistently provide a variety of experiences, ensuring you can always count on a pleasant surprise or two. This year the company’s lineup ran the gamut from city builders and roguelikes to sandbox prisons and pinball platforming, each looking quite promising in their own way. I’m not usually one for city builders. The amount of micromanagement involved makes my head spin. But somehow I did okay at Aven Colony. The demo tossed me into a in-progress game with little in the way of tutorials to guide me. I had to complete a certain number of objectives to help make the colony a sustainable city. The first goal was to build a cultural center. It was already in-progress when the demo began, so I just had to wait for its completion. After that, I was hit with a few trade deals I needed to broker. Had to exchange one kind of food for another, same with materials. Lot of simple, easy to achieve objectives. If I found out I didn’t have the right kind of food to trade, I could easily build a greenhouse to grow them. The scenario I was thrown into made it easy to achieve my goals, which made it far less daunting to play than if it had been a fresh campaign. By the time I was starting to get the hang of things and settle into a rhythm, however, I finished the level and the demo ended. Didn’t get much time to really get a good feel for the game, but if someone like me who doesn’t play these games can do just fine, I’d say that bodes well. Aven Colony is out on July 25th for PC, PlayStation 4, and Xbox One. The Escapists was a sandbox prison escape game that was released in 2014. The idea was to create a game about escaping prison that could play out differently each time you play; not through procedural generation, but through the sheer number of ways you could plan and execute a jailbreak. It was quite popular and successful. 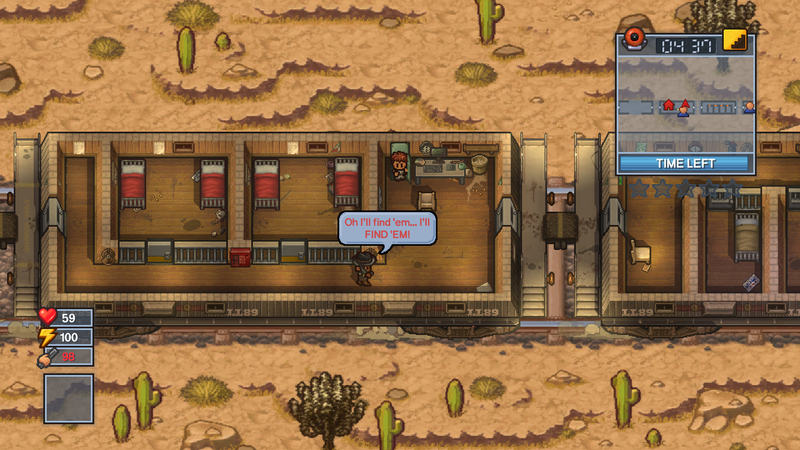 And now its sequel, The Escapists 2, looks to expand on that formula in every way imaginable. The demo I was given was set in a western-themed prison. It began by giving the prisoner – who can be fully customized – a tour of the area; primarily so you know where you need to go to perform your daily duties, but useful for beginning to formulate your escape plan. While you do that, however, you need to stick to the daily routine to avoid rousing suspicion. That means performing the jobs assigned to you, being where you need to be on-time, and so on. Planning an escape takes time, after all, and you’re not going to have many chances to succeed if the place is running tighter security. How you go about escaping is up to you. The possibilities are nearly limitless. You can through more traditional methods like digging underneath the walls or climbing over them, or you can try more involved, multi-step plans. I didn’t get to see any of these ideas in action, of course – time was limited and individual games seem like they’d go a while – but the developers are striving to make each prison map vast and full of opportunities. With all the systems at play, it definitely seems prime for some of that emergent play to occur. Doubly so with the addition of multiplayer. The Escapists 2 is out later this year on PC, PlayStation 4, Xbox One, and Switch. With so many roguelikes out there these days, it’s become increasingly important for each new one to set itself apart. 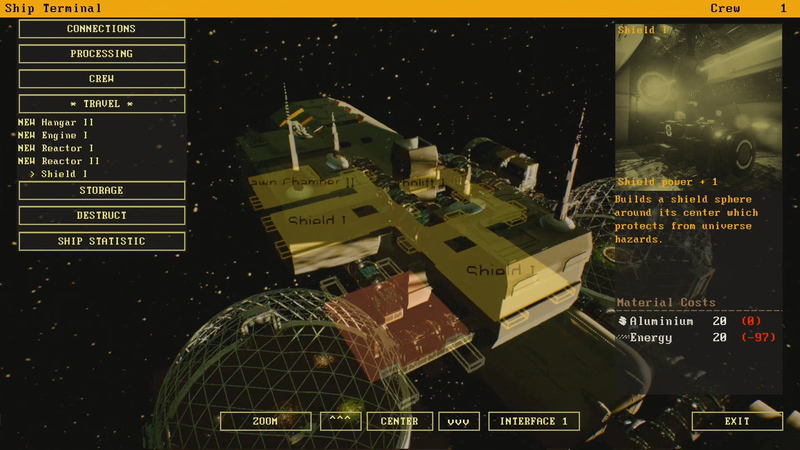 Genesis Alpha One is a first-person shooter/base-builder set in space. The premise is that the Earth has become uninhabitable due to climate change and other disastrous events, prompting the world governments to launch a program to find a new planet to live on. You play as a captain of one of the ships on this mission. Your job is to find a planet suitable for human life, but there’s plenty of work to be done before you can get there. For starters, you need to build up your ship and strengthen your crew. You do this by sending people down to planets to retrieve resources that then go into building new rooms and facilities in your ship. But you also have to defend your ship from aliens who sneak on board once your crew returns from missions. The ones I saw the in demo were small and spider-like, able to crawl into the ventilation system and build nests there if not taken care of swiftly. They’re tracked via a motion-sensor attached to your rifle, though you can also track them through other means as well eventually. Specifically, if you build a cloning chamber and splice some of the alien’s DNA with that of one of your crew, you can make an entirely new member for your team with heightened abilities. By using the spider-like creatures’ DNA, that specific crew member will be able to see those aliens through walls. Pretty handy. One other room they showed off was the respawn chamber, which allows you to essentially subvert death. Where usually dying would mark the end of a run in roguelikes, by creating a respawn chamber you’re able to keep going until you’re entire crew dies or the ship is no more. Whichever comes first, really. Genesis Alpha One is out sometime next year on PC. A pinball platformer sounds like an odd idea at first, but Yoku’s Island Express makes it feel like a natural fit. The premise is that a dung beetle named Yoku got a job as a postman on a remote island to replace the old one – a pterodactyl – who’s retiring. It’s very silly and charming. 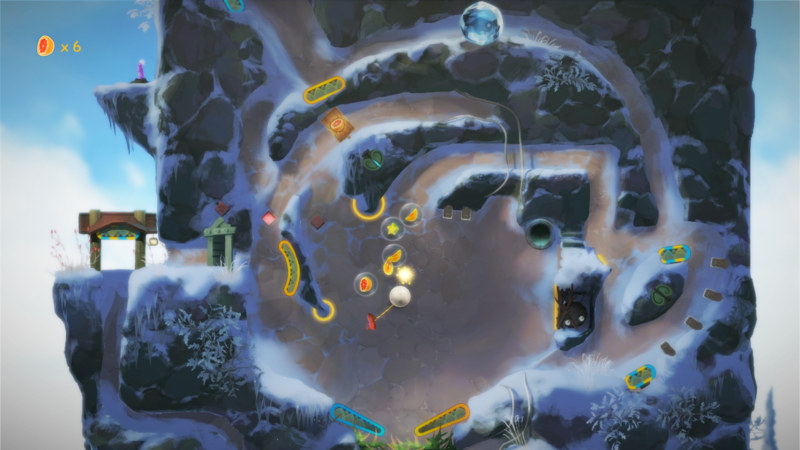 From there, Yoku goes about traversing the island using makeshift pinball paddles scattered across the area. Given the unpredictable nature of pinball and the often precise movements platformers demand, I was a touch afraid that the game would end up being an exercise in frustration. Instead, it’s very relaxing. Bouncing around the intricate island landscape is fun and provides a nice low-key sort of challenge, for even when I did end up having trouble reaching a certain platform, it was never frustrating or annoying because the mere act of playing pinball is enjoyable. As you explore, you collect fruit that can be given to fruit altars to gain items that help you gain access to areas you likely won’t be able to reach on your first pass. It’s an open world, so you can always return to anywhere you’ve been before. Though you do need to exercise some caution as touching spikes and other hazardous elements does make you drop a bit of your fruit. But given the game is designed to be very simple and easygoing – one of the developers told me they specifically wanted to avoid making any death penalties to avoid making the game needlessly difficult – I expect they won’t be lost forever. Yoku’s Island Express is out on PC, PlayStation 4, Xbox One, and Switch sometime next year.